Dolvin's Technology Consulting and Finance Software Blog: Is Social Media Management Right for You? 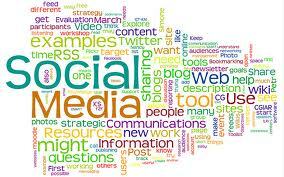 Is Social Media Management Right for You? With the rise of social media and its growing impact, businesses need a way to successfully engage what is being said about their company, their services, and their products. • Monitor your company’s online presence and reputation. • Track comments on all 22 social media platforms (including Facebook, Twitter, LinkedIn, Google+, and more) in a single interface. • Follow posts on 1.3 million blogs, reviews, and websites. • Drive more traffic to your local website or blog. • Increase your search engine presence and Klout score. • Raise your search engine rankings. • Draw more attention to news releases and announcements. • Attract more friends, fans, and followers. To learn more or to schedule a demonstration, please contact us. How fortunate I am that I was able to read this post. I got a lot of knowledge I’ve been looking for. Thanks a lot for posting this. Is Increased Customer Satisfaction Worthwhile? How to Organize a Daily Cycle Count?